Disney's "Planes: Fire & Rescue" starring Dane Cook and Ed Harris opens in theaters on Friday, July 18, 2014. It is the sequel to last year's "Planes" which had super-low expectations but turned into a surprise hit. 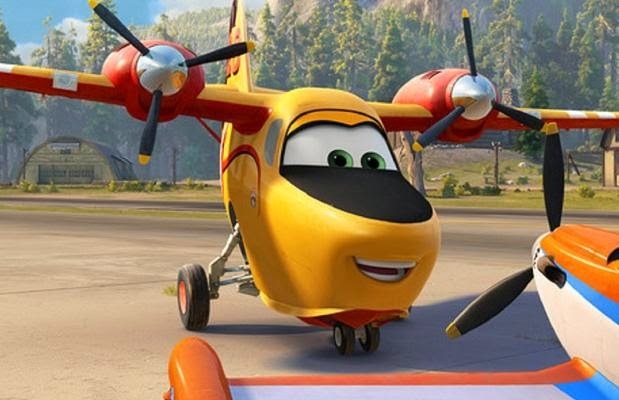 "Planes" itself was a sequel of sorts to "Cars 2." So far, 2014 has been a slow year for animated films. The big winner was "The Lego Movie" in January, but "Rio 2" and "How To Train Your Dragon 2" have been under-performers in light of what turned out to be out-sized expectations. People really thought that "Dragon 2" would blow out the doors, but instead it just kind of did ok. "Mr. Peabody & Sherman" from DreamWorks Animation was an outright flop. Clarius Entertainment's “Legends of Oz: Dorothy's Returns” bombed big-time in May 2014 and showed just how tough the animated film market can be even if you load your film up with top voice talent. Hollywood in 2014 is running 5% behind the 2013 box office grosses. There haven't been many box office smashes this year. 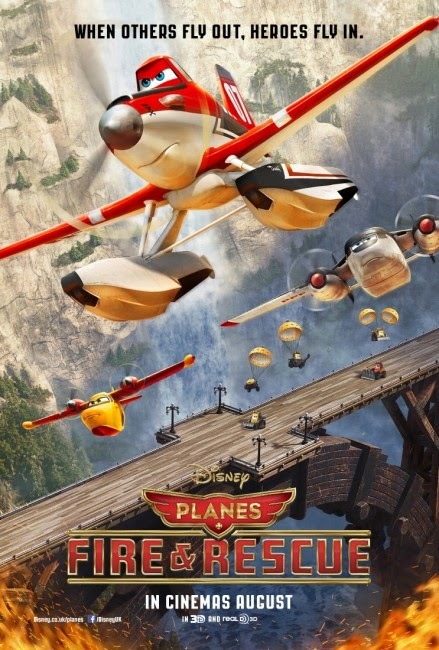 At least "Planes: Fire & Rescue" once again has the advantage of low expectations, with a $50 million budget it should turn a tidy profit for Disney, whether quickly or, as Disney knows well how to do, wrung out over the years in home video release. So, the animation film industry is suffering kind of a hangover from last year's crop of huge successes, led by Disney's "Frozen." Disney itself may have the only remaining big animated hit this year when it releases "Big Hero 6" on November 7, 2014. Yes, it's that kind of year for the rest of the industry.